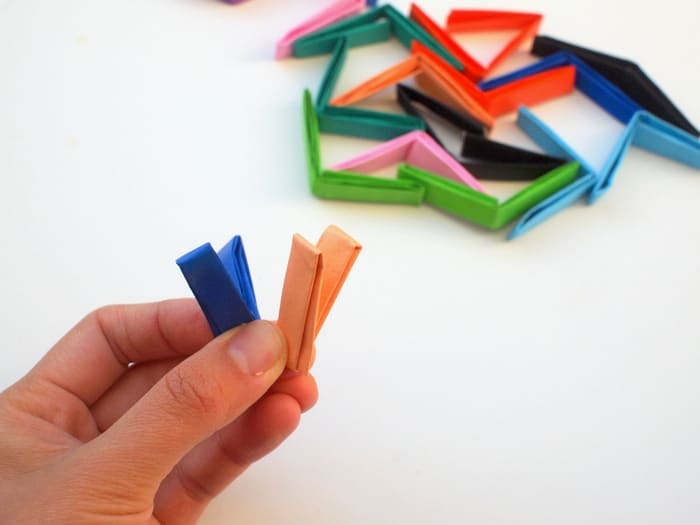 Make these colorful origami Christmas ornaments using bright and cheery paper! 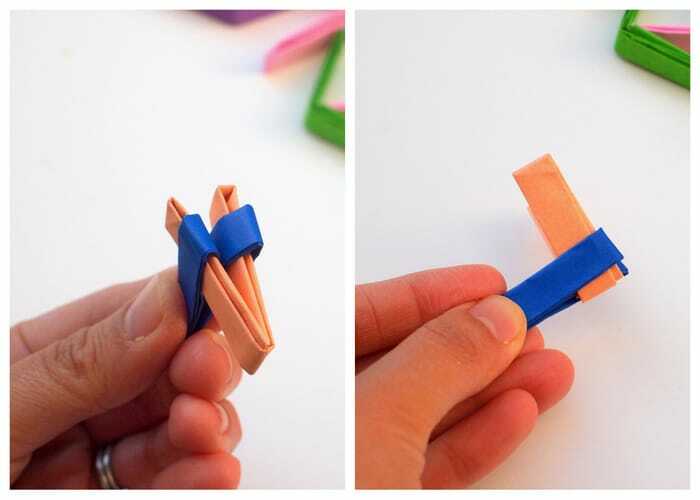 These are so easy, and teach children basic folding skills. 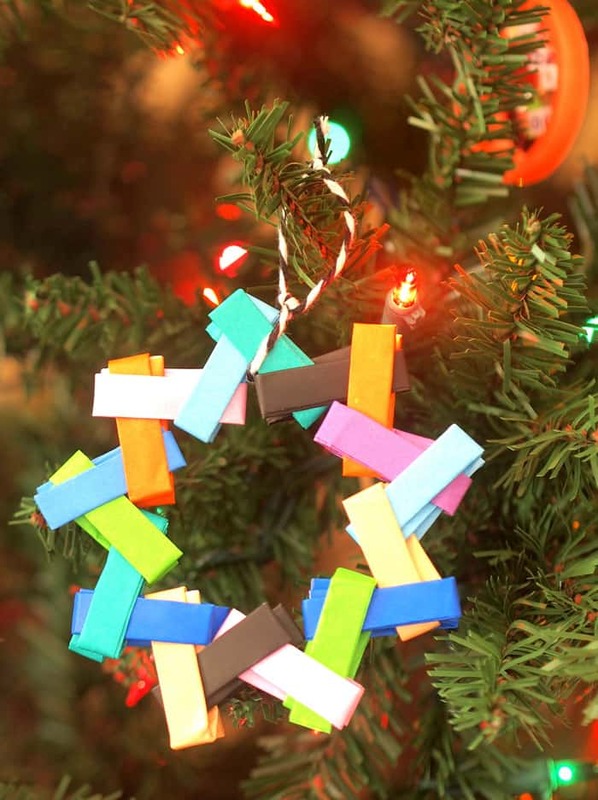 Looking for a fun way to decorate the tree this year? 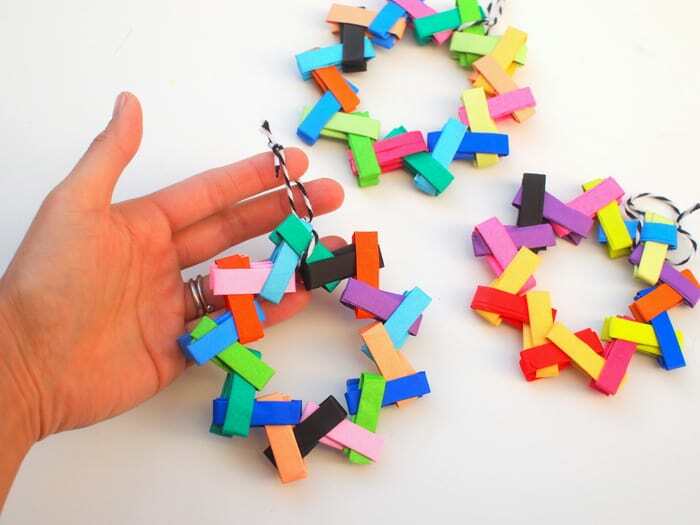 Why not try your hand at making this Origami Wrapper Chain Ornament? Hi! It’s Leslie from Pink Stripey Socks. 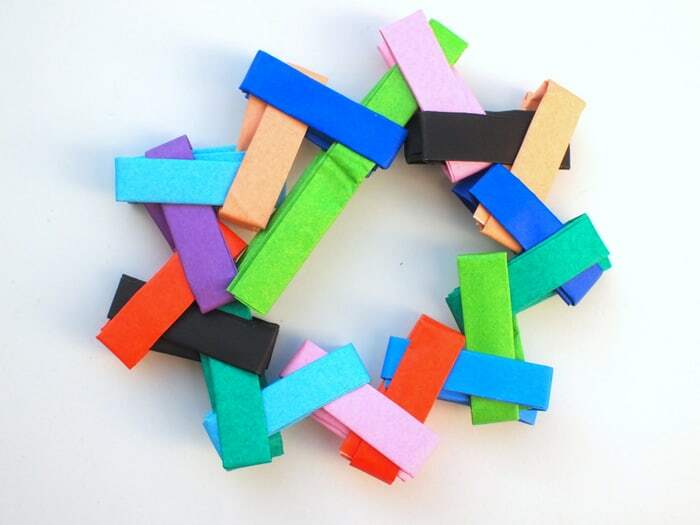 Today I’m sharing a new spin on gum wrapper chains. 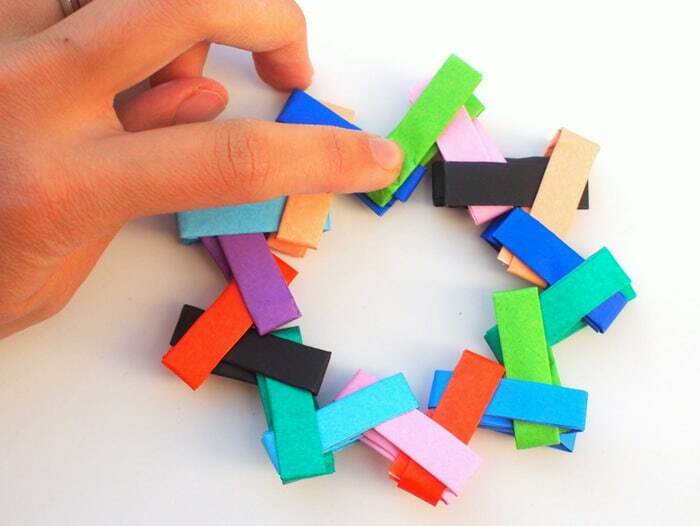 Instead of candy wrappers, we’re using origami paper to put a modern and colorful twist on this classic craft. 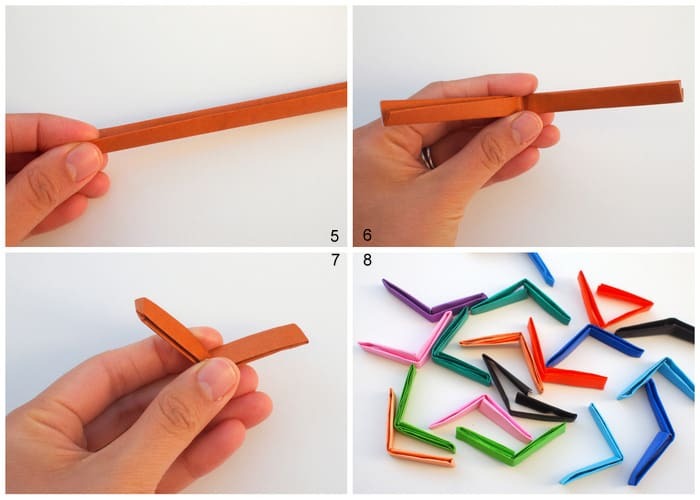 So turn up the Christmas carols, grab a pack of Origami paper, and let’s get making some unique origami Christmas ornaments! 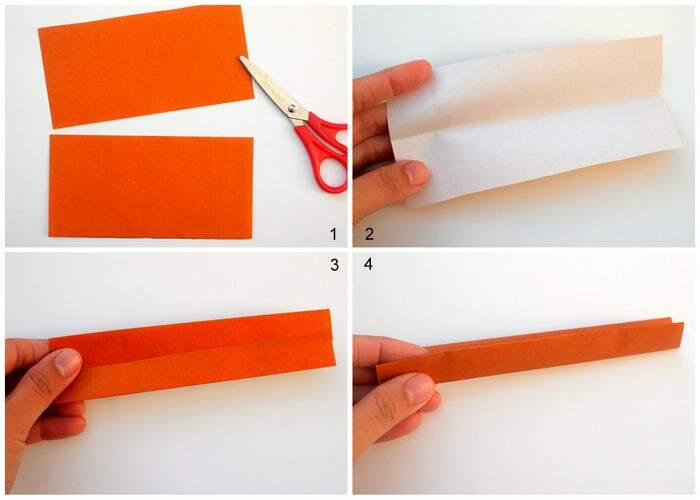 Step 1: Fold a sheet of origami paper in half. Cut it in half. Step 2: Take one half sheet. Place it color side down. 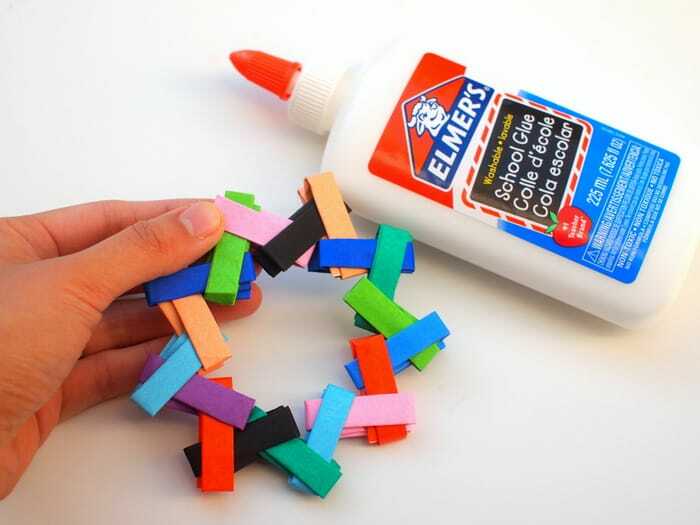 Fold it in half and open it up. Step 5: Fold it in half again. Step 6: Now fold your very thin paper in half again and open it up. Step 9: Take two of your folded sheets. See how they resemble V’s? 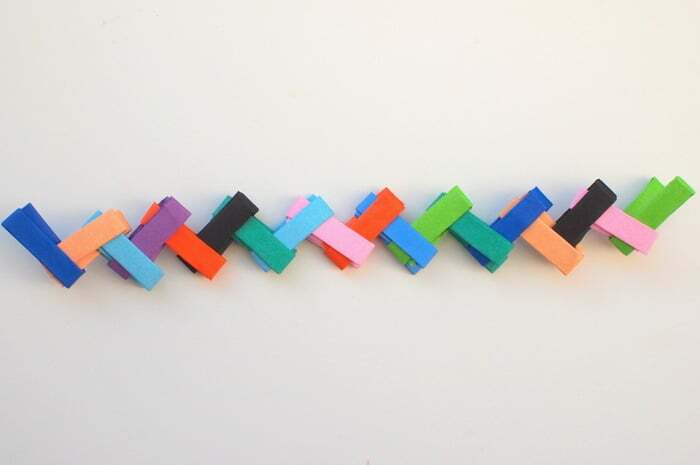 Step 11: Keep sticking the V’s together in the same way as step 10. 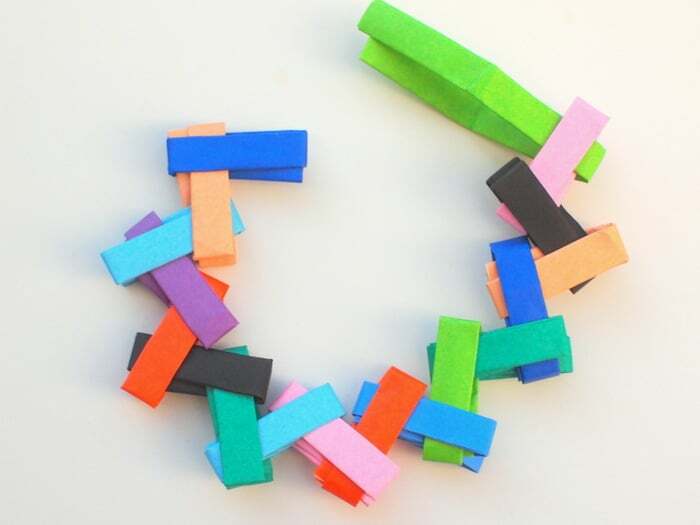 They should alternate and look like this chain. Step 12: When you have enough Vs to complete a wreath, pull out the folded arms of your last V.
Step 14: Now fold up your two unfolded arms. Step 16: Tie on a string and you’re done! 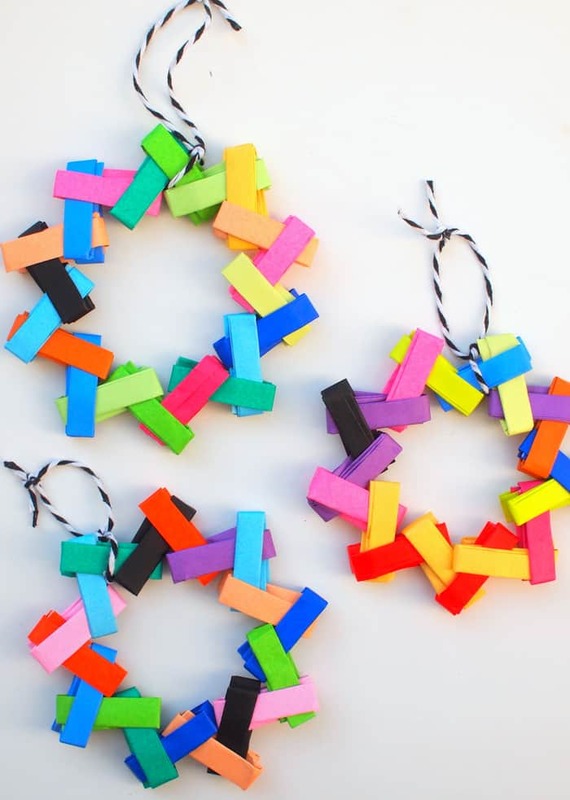 Hope you have a fun time whipping up these colorful origami Christmas ornaments with family or friends! Visit my blog Pink Stripey Socks for more fun Christmas Crafts. 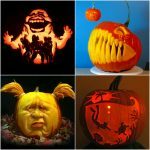 Or, you can find more inspiration on my Facebook, Instagram, and Pinterest accounts too. Happy making, friends! 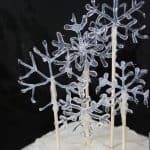 For more holiday crafts that littles can do, visit these easy DIY Christmas ornaments for kids! They look so colourful and cute! Great because I haven’t yet bought my decorations for my tree this year.